The coquina rocks at Washington Oaks Beach have all sorts of interesting patterns – from round holes to weathered layers. Depending on the tides the patterns are enhanced by the ocean. I wrote before of my friend, Court introducing me to seeing faces in nature, which is called pareidolia. Now I can’t stop finding them when I go out to photograph. What do you see in the top photo? I see a snarling wolf with a person growling back. 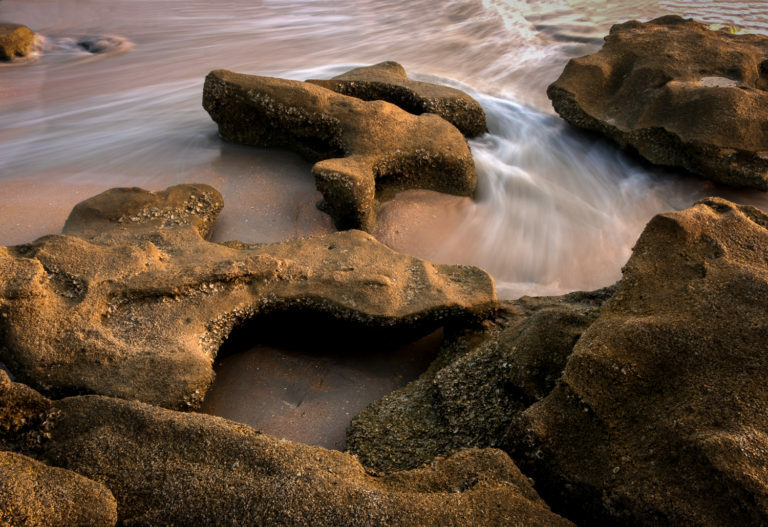 Maybe you prefer your coquina rocks more abstract. 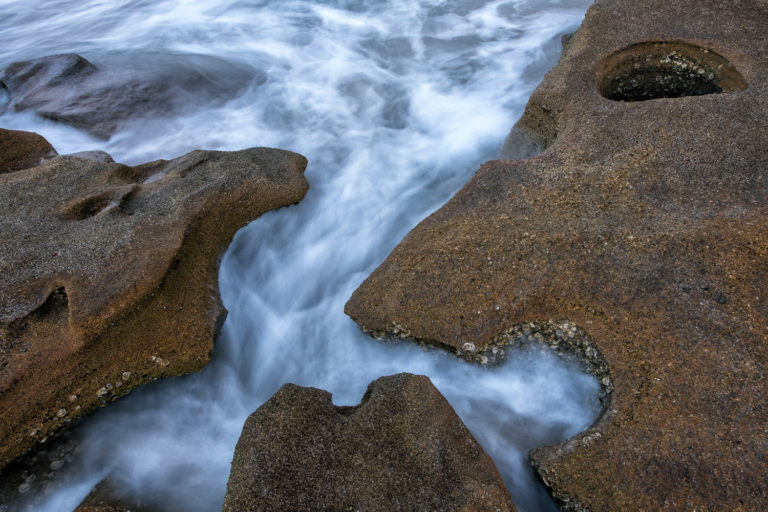 In the photo below, I used a long exposure to show the patterns in the water leading to and around the rocks. Notice the textures of the shells in the rocks. Coquina rock is a soft sedimentary rock that cements together ancient shells, coral, and other invertebrates. It is found in only few places in the world including Washington Oaks Beach. These 2 photos were taken just after sunrise, giving the rocks a warm glow. 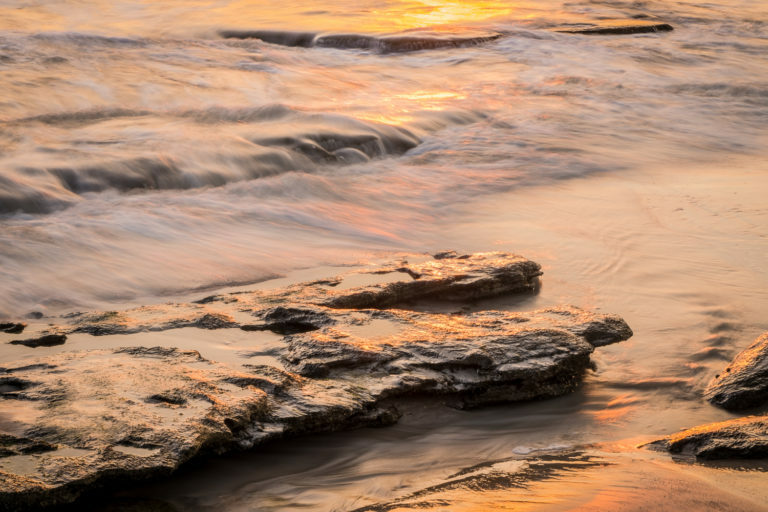 The waves moving in and out generate waterfalls and rivulets that create infinite photographic possibilities.